Is your theatre or production in danger of an ADA lawsuit? 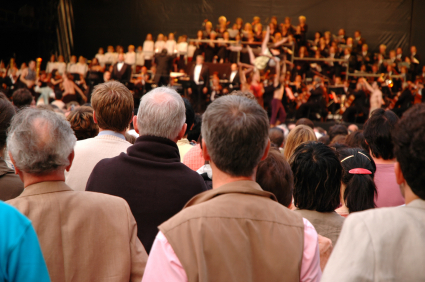 If you produce or operate a venue that houses Movies, concerts, or performing arts works, like theatre, comedy or spoken word performances, you may not be aware of the scope of the Americans With Disabilities Act (ADA), which requires that you make reasonable accommodations for people with disabilities. Sure, we've all made entryways wider, installed ramps, and configured seating to allow for patrons in wheelchairs. But what about those patrons with less obvious disabilities, such as deafness and blindness? Recently, a number of Disability Rights Advocates announced that they and their “public interest” attorneys would soon be turning their attention to “the theater industry”. Their concern? Closed Captioning for hearing impaired patrons. 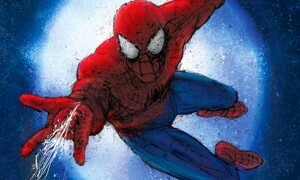 Will Spiderman’s bad reviews matter, or has the superhero already caught audiences in his web? Earlier this week, the New York Theatre Critics broke with long standing tradition and reviewed a show while it is still in Previews. The mostly bad reviews of “Spiderman: Turn Off The Dark” came out the day after one of the oft-rescheduled opening dates. Clearly the critics have had enough, figuring (I think correctly), that when a show is running for week upon week, selling out the so-called “preview” performances at full ticket prices averaging over $100, the show is as good as open, and should be reviewed as a service to the public. What do you think? Will ticket sales now plunge like an improperly tethered actor falling to catastrophic injury? Post your opinions in the comments on the website. Q: I have watched hundreds of films and read as many screenplays. The question I have is, are lines from movies protected by copywrite or are they considered in the public domain? The best example I have is whenever a character or story transports a character to somewhere foreign or bizarre the standard line is “We're not in Kansas anywhere” or some similar derivation. Likewise, is there some law that says I can't use “Go ahead, make my day” in a screenplay that I write? A: Lines from movies are, in most cases, neither protected by copyright nor in the public domain. Although technically, a line from a movie could be protected by copyright, it's rare that it actually happens. You see, in order to be protected by copyright, a work needs to be original. To be sufficiently original to warrant copyright protection, a line would have to be fairly lengthy, and involve a bit more than ordinary construction. In fact, lines spoken by characters in films need to sound “real”, and real people don't speak in such carefully constructed phrases as to warrant copyright protection. The film itself is almost without a doubt protected by copyright, but a subsequent use of a single line found within a film is likely to be held a de minimus use, and therefore not an infringement. There may be other issues with using “Go ahead, make my day”, if the phrase has become a trademark. Even then, if you're mocking or parodying the original, or just being ironic in the way the phrase is used, you're unlikely to encounter trouble from the makers of the original. But, as with all free advice you get on the internet, you get what you pay for. When in doubt, talk to an entertainment lawyer.